It is being said that Forstall didn’t get along with Jony Ive. The knighted designer won that battle. Apple named him the chief of all “human interface” on Monday. Reading between the lines, that means software in addition to hardware. Design lovers hated the paper “shredder” that Apple introduced with its Passbook product. Ive, a fan of minimalism, must have hated it too. Watch for Apple to kill it. I also heard that Forstall refused to sign the letter apologizing for the mapping fiasco, sealing his fate at Apple. (He has worked for two companies in his career, both founded by Steve Jobs: Next and Apple. Seeing as Forstall oversaw and publicly demoed Siri and maps, we know at least that the Apple culture is intact: Forstall was the directly responsible individual, or DRI, on Siri and maps. Now he is gone. Here’s a little insight into Apple’s often opaque culture to better discern management Kremlinology there: Its iTunes still advertising competitors’ maps instead of its own failed product and Forstall got no stage time at Apple iPad mini event last week. Usually Forstall is ‘the man’ when it comes to demonstrating the latest advances in iOS 6 or even just showcasing the software. 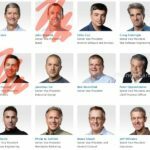 Last week, he was noticeably absent from stage even to demo iOS 6 on the iPad mini, as SVP of Marketing Phil Schiller was responsible for announcing the 13″ Retina MacBook Pro, Mac mini, new iMac, 4th generation iPad and iPad mini. Watch the keynote again and observe Forstall. He’s most likely there as a formality–he doesn’t look too thrilled to be missing out on the iPad mini announcement. He probably already knew about today’s executive restructuring and his new ‘interim role’ as Tim Cook’s advisor at time, is my best guess.